Preheat oven to 350 degrees. Grease a 5 x 9" loaf pan. In another bowl, stir together the eggs, maple syrup, oil and vanilla. Add the mashed banana and whisk until everything is combined well. Add the dry ingredients, a little at a time to the wet ingredients, stirring as you go. Mix until a batter forms. Pour the mixture into the greased pan. 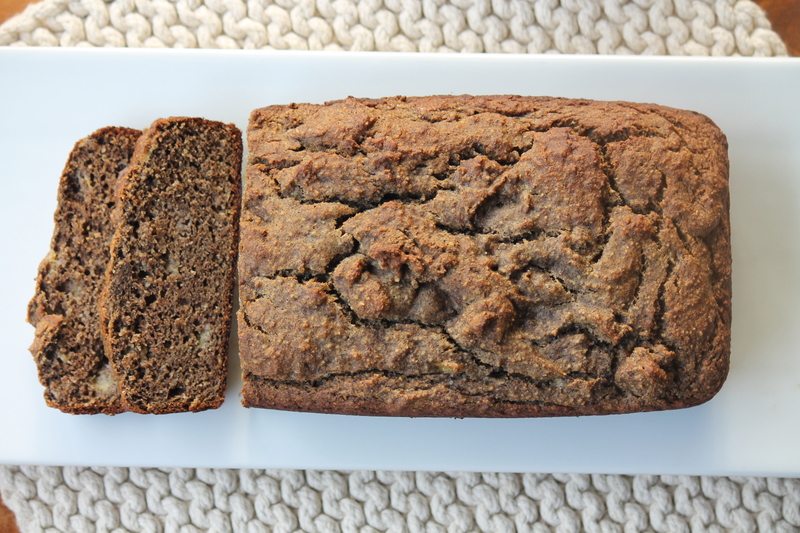 Bake until the banana bread is browned on top and a toothpick inserted into the middle comes out clean, 45-50 minutes. Allow the bread to cool for 15 minutes, before removing from the pan. Continue to cool on a wire rack.